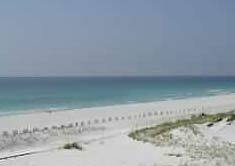 Pensacola is situated on the Northwest coast of Florida close to the border of Alabama and is known for its pristine white beaches, fishing, golfing and shopping. the flags of Spain (Castile), France, Great Britain, the Confederate States of America, and the United States. Attractions include National Naval Aviation Museum one of the world’s largest aviation museums. Immerse yourself in sand, sun and fun on Pensacola.